A 401(k) and a SIMPLE IRA are two types of retirement accounts that employers can offer to employees. You generally can't open either for yourself outside of work unless you're self-employed. The two have some similar features, but there can be important differences in terms of how accounts are funded, when money is available and when you can withdraw funds without a penalty. A SIMPLE IRA plan is a type of employee retirement plan primarily designed for small businesses and their workers, generally those with 100 or fewer employees. SIMPLE stands for Savings Incentive Match Plan for Employees Individual Retirement Arrangement. As the name suggests, it has some features in common with the conventional IRAs that workers can establish for themselves through banks and brokerages. If your company has a SIMPLE IRA, you can generally contribute up to $12,500 of your salary to the plan, usually through payroll deductions you set up with your employer. Your employer then either contributes an amount equal to 2 percent of your salary or matches your contributions up to an amount equal to 3 percent of your salary, depending on how the plan is set up. The money you contribute isn't subject to federal income tax, which can be a big savings, though you generally pay tax on withdrawals you make at retirement age. If your employer chooses the matching route, the company must match contributions up to at least 1 percent of your salary and can't match less than 3 percent for more than two out of five consecutive years. Money you put into the plan can be invested in whatever investments are available in the plan. You're generally penalized for withdrawing funds before age 59 ½, with some exceptions. Money you or your employer puts into the plan is vested, or fully available, immediately. A 401(k) is another common type of employee retirement plan that operates slightly differently. They're often used by larger employers. You can contribute money to a 401(k) plan each year, usually by having the money deducted from your salary each paycheck. The maximum amount you could contribute in 2018 was $18,500. The amount generally is adjusted to take inflation into account. The money is deducted from your paycheck before taxes, so it's not subject to federal income tax. When you withdraw funds from the account, they are taxed. Your employer can separately contribute up to $36,500 per employee in 2018, up from $36,000 in 2017. This can be implemented through matching programs where employer contributions are based on what employees put in or simply by making direct contributions unrelated to how much employees invest. Employee contributions are always fully vested, but employer contributions may take some time to vest. You generally can't withdraw from a 401(k) while you're employed unless you become disabled or have a financial emergency. After you leave your job, you can roll your funds over to another employee retirement plan or to an IRA account at a bank or brokerage of your choice. One difference between a SIMPLE IRA and a 401(k) is the way employer contributions are treated. They're mandatory in a SIMPLE IRA but optional for a 401(k). They're also always fully vested in a SIMPLE IRA; for a 401(k), whether they are or not varies based on your plan. Rollover rules are also different for a SIMPLE IRA versus a 401(k). With a 401(k), you can roll your funds over to an IRA or a new employer plan after you leave your job. With a SIMPLE IRA, you can do so any time starting two years after you began contributing to the plan, regardless of where you work. 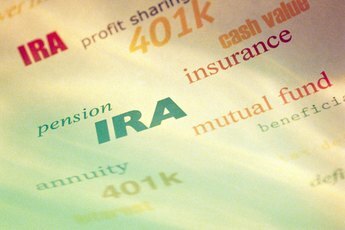 SIMPLE IRAs are subject mostly to IRA rules about when you can withdraw money without paying tax penalties. Those rules contain more permissible situations than the 401(k) rules, which is one reason to consider rolling over a 401(k) to an IRA when you're able to do so. If you want to move money from one type of retirement account to another, it's important to follow the IRS rules for a tax-free rollover. Otherwise, you can end up being subject to withholding taxes or even nonrefundable tax penalties for taking an early withdrawal from your accounts. Generally, you want to work with the financial institution where your old account is held and the one where you're moving the funds so that they send the money directly, rather than sending you a check or funds transfer. In that case, you generally won't face any tax liability. If you do accept the funds in a rollover for some reason, it's important to deposit them into the new account within 60 days, or you will be considered to have taken an early withdrawal. There are some exceptions for hardship situations that may have caused you to miss the deadline. If you're researching retirement plans, you may come across the name Roth, as in a Roth IRA or Roth 401(k). They're named for William Roth, a senator from Delaware who wanted to incentivize people to save for retirement. 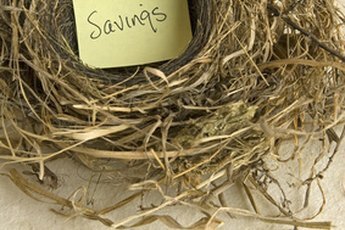 A Roth plan works differently from a usual 401(k) or traditional IRA. With a Roth plan, you pay tax on the money as usual when you receive it. Then, you place it into the plan where your investments hopefully grow until you reach retirement age. At that point, you can withdraw the initial deposits and even the earnings without paying any additional tax. You can generally withdraw your deposits at any point without a penalty, though you'll lose out on future tax-free investment growth tied to them. 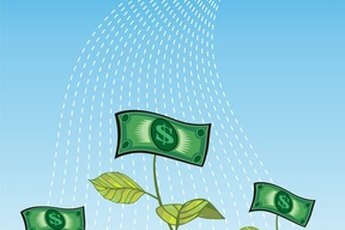 This can be more advantageous than traditional IRA and 401(k) plans if you expect to make a lot of money from your investments or expect to be in a high tax rate bracket when you retire. Not all employers offer a Roth 401(k) option, and there are no Roth versions of SIMPLE IRAs available. You can generally convert a traditional IRA into a Roth IRA by paying the deferred tax on the money in the plan. You may wish to do so if you think it will save you tax money in the long run. An important difference between SIMPLE IRA and 401(k) plans is when you can take early withdrawals without penalty. IRA plans in general allow more cases where you can pay only deferred tax and not an additional penalty to use your money. With any IRA, you can often withdraw funds without penalty if you're called to active duty from the military reserves or National Guard. You can also withdraw up to $10,000 without penalty to contribute to the purchase of a first home. Certain higher educational expenses for yourself and your relatives can also be paid with IRA funds without a penalty. You can also use IRA funds to pay for health insurance when you're unemployed. An IRA or a 401(k) can be tapped to pay health care costs in excess of 7.5 percent of your IRS adjusted gross income for a particular tax year. 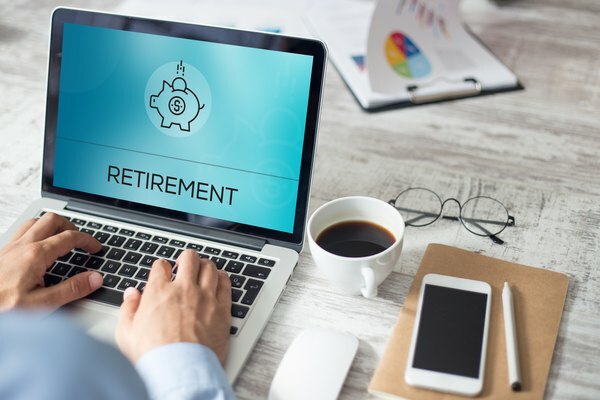 Once you reach age 70 ½, you generally must begin taking a minimum amount from your retirement accounts each year or face a steep tax penalty, usually more than the tax you'd pay on the withdrawal. The IRS provides tables you can use to determine how much you need to withdraw each year. This applies to IRAs, including SIMPLE IRAs, as well as retirement accounts like a 401(k). Roth IRA accounts are exempt from this rule, and if you inherit a retirement account, it's subject to its own set of rules. IRS: Who Can Participate in a SIMPLE IRA Plan?